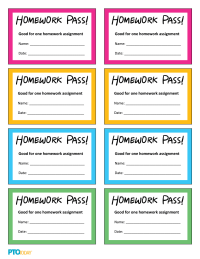 Customizable homework passes that can be used as a student incentive. Also, consider working with teachers to use the passes as a way to boost attendance at PTO meetings (parents may be more inclined to attend if they're not needed for helping with homework!). 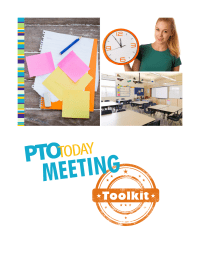 PTO Today's complete guide for anyone who is involved in running a meeting. This toolkit walks through what it takes to present a meeting well, with information on creating an agenda, the order of business, dealing with challenging discussions, and more. Downloads: 565 Members only ? 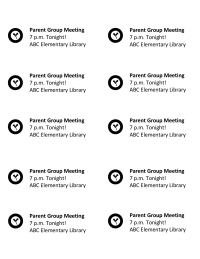 Completely editable meeting reminder stickers for Avery 5163 labels, 2" x 4" each (neon colors suggested). Downloads: 95 Members only ? This sample agenda is based on a complete set of sample meeting minutes and outlines what an actual meeting agenda template might look like for your parent group meetings. 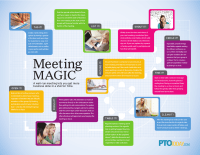 A year's worth of customizable seasonal meeting announcements for your PTC. 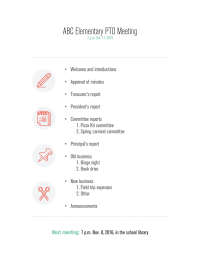 A year's worth of customizable seasonal meeting announcements for your PCC. A year's worth of customizable seasonal meeting announcements for your PTA. A year's worth of customizable seasonal meeting announcements. A year's worth of customizable seasonal meeting announcements for your HSA. 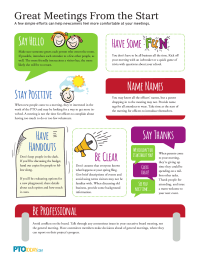 Handy sheet lists simple ways to make sure your meetings set a welcoming tone from the start. 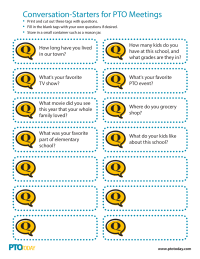 Questions like "How long have you lived in our town?" 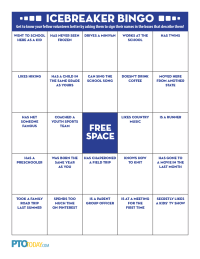 can help break the ice at PTO meetings. Sheet contains eight printed questions and six blank tags to write in questions, if desired. 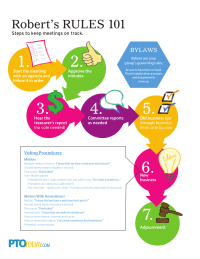 Step-by-step instructions for approving your group's meeting minutes. Print this full-color sheet of quick tips on Robert's Rules to help keep your meetings on track. Print this full-color sheet of quick tips on how to keep your meetings focused and on track. 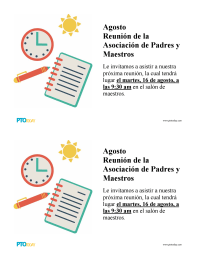 Seasonal meeting announcements in Spanish for each month of the school year. Downloads: 125 Members only ? Seasonal meeting announcements for each month of the school year. Downloads: 346 Members only ? 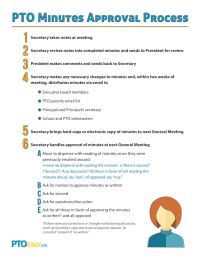 An editable outline for putting together the minutes from school PTO or PTA meetings. Downloads: 343 Members only ? 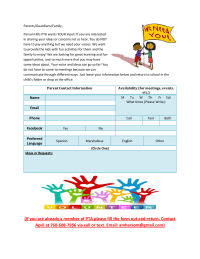 An editable agenda template to customize and use for regular parent group meetings. Downloads: 654 Members only ?